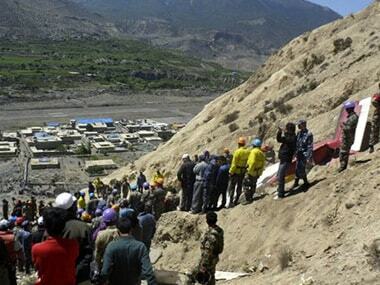 Nepal, a cargo plane crashed in Humla district today. Both the pilots died in the crash and their bodies have been recovered from the wreckage. A small cargo plane on Wednesday crashed in Nepal, killing both pilots onboard the aircraft, according to a media report. Deputy Director General at Civil Aviation Authority of Nepal Rajan Pokharel said the Makalu Air cargo aircraft crashed at Simikot Pass in Bahun Kharka, Humla, Kathmandu Post reported. Lebanese actress Manal Issa at Cannes: "Stop the Attack on Gaza"